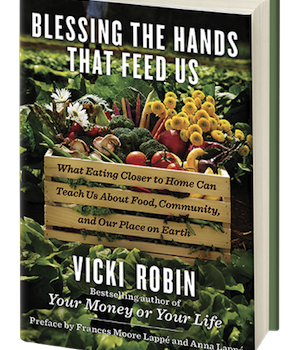 Taking the local food movement to heart, New York Times Bestselling Author Vicki Robin pledged for one month to eat only food sourced within a 10-mile radius of her home on Whidbey Island in Puget Sound, Washington. Her sustainable diet not only brings to light society’s unhealthy dependency on mass-produced, prepackaged foods but also helps her reconnect with her body and her environment. Be our guest as Grant Sabatier, author of Financial Freedom and I talk about our 2 year partnership to bring transformational financial education to everyone. 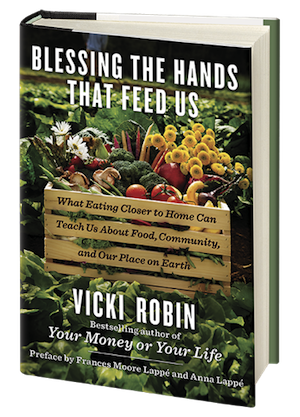 We will be on a Facebook Live event to share ideas from both our books, mine a best-seller and his a best-seller to be. Click here to join the Facebook Live Event.